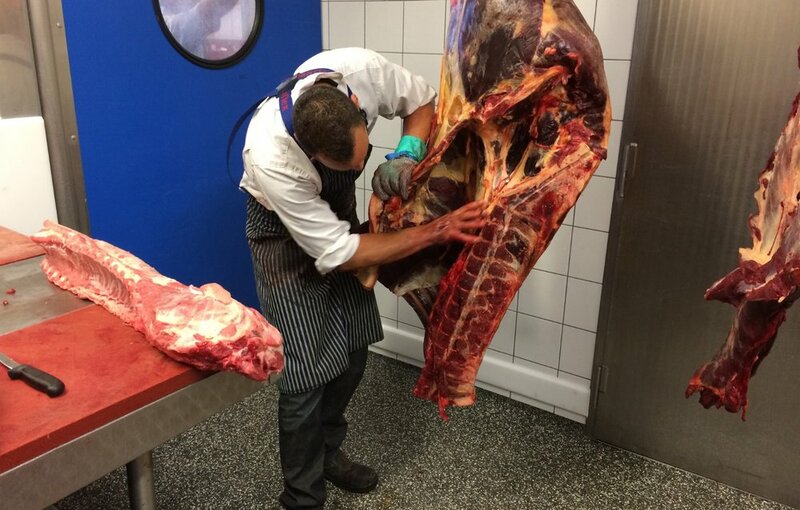 A pop-up restaurant in Eindhoven gave diners the chance to give horsemeat an honest try. The Fat Pony’s menu offered items like dry-cured sausage and pastrami, pulled horse sandwiches with spicy cucumber salad on a bun made with horse milk, and tagliatelle with horsemeat ragù and trefoil. For dessert, there were oatcakes, a piece of chocolate shaped like a horse turd, carrot cake, and coffee served with horse milk upon request. When they first entered, guests might have thought they had mistakenly stepped into a slaughterhouse for horses. The tables were arranged as they would be at a horse show, the beer served was BrewDog's Dead Pony Club, and there was a horse-themed playlist, which included songs from Patti Smith's album Horses, Tom Waits' Pony, and Wild Horses by the Rolling Stones.